Our training manual is a great ready reference and learning resource. Remembering new knowledge over time can be a challenge. Learning hands on, one-on-one with a personal trainer, is a great way to learn. Often times, however, the student is shown more at one time than he can remember. Successive repetition in following sessions helps reinforcement, but this too can be forgotten over time. The long term solution is a fitness ready reference that can be used as a resource whenever a memory refresher is needed. To this end, I have compiled a fitness training manual for my students that can be used anytime, whether it be next week or years from now. 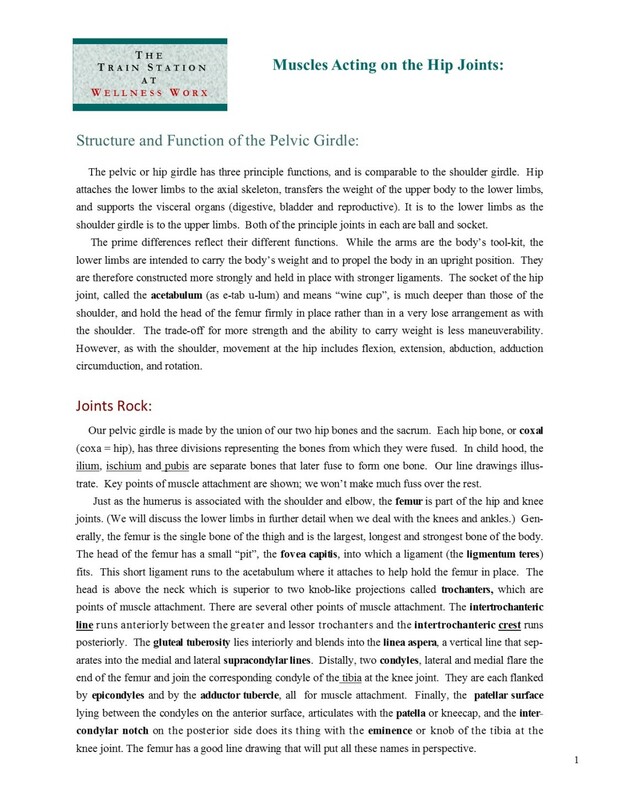 The manual contains over 50 illustrated how-to exercise descriptions with precautions, and includes the muscles and joint motion(s) involved. The manual also contains a full line drawing of each muscle or muscle group as well as textual descriptions of all joints and muscles acting on the joint involved. Other useful information is also included. 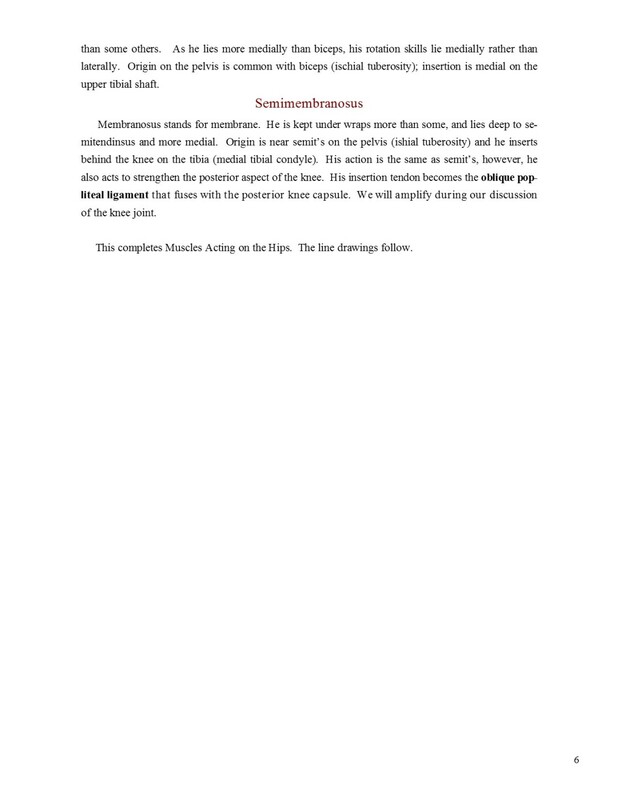 Our manual is intended for use by our students only, and is not currently available as a published for sale document. Our Training Manual has over 50 illustrated exercise descriptions to serve as a reference for our trainees. Here are a few sample illustrations. 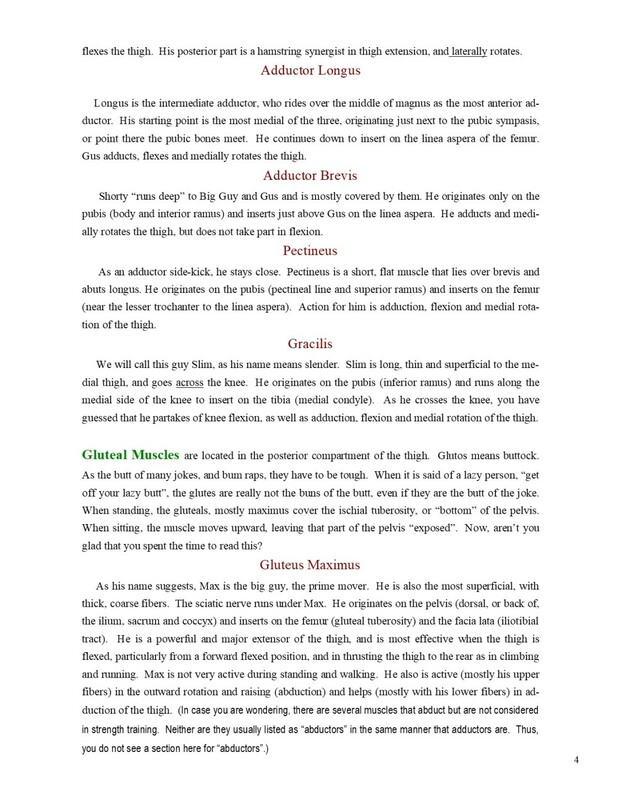 A sample page, for the Back Extension, follows. The manual also contains a full line drawing of each muscle or muscle group prefaced by textual descriptions of all muscles acting on the joint involved. Muscles: gluteals, hamstrings, erector spinae, Joint motion: hip extension. Muscles: quadriceps. Joint motion: knee extension. Muscles: triceps, anconeus. Joint motion: elbow extension. Muscles: hamstrings. 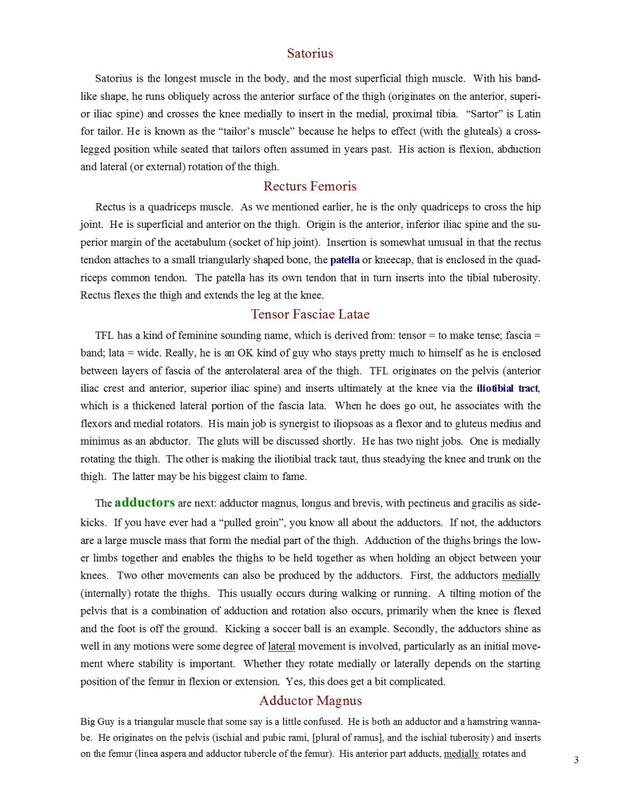 Joint motion: knee flexion. Muscles: rectus femoris and abdomonis, interior and exterior obliques, mid-body muscles, iliopsoas- hip flexors. Joint motion: trunk flexion, hip flexion. 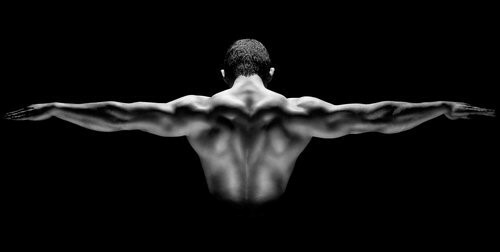 Muscles: middle trapezius, rear deltoid. Joint motion: shoulder abduction. Muscles: rectus abdominis, obliques. Joint motion: trunk flexion. Muscles: pectoralis major, front deltoids. 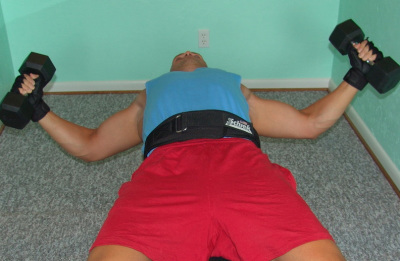 Joint motion: horizontal shoulder adduction. Muscles: pectoralis major, anterior deltoid, tricips. Joint motion: horizontal shoulder adduction, elbow extension. Each trainee receives a copy of our training manual to be used as a ready reference. 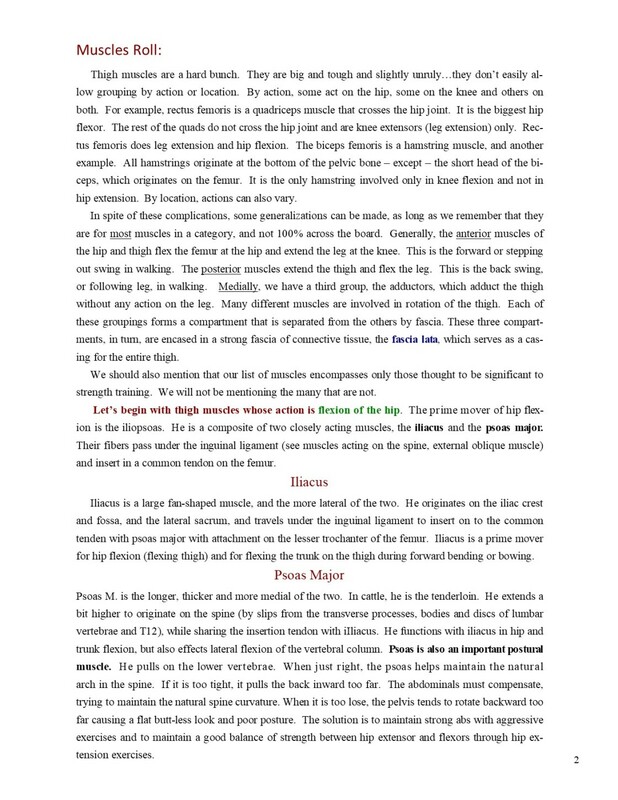 The exercises taught are explained and illustrated in the manual. 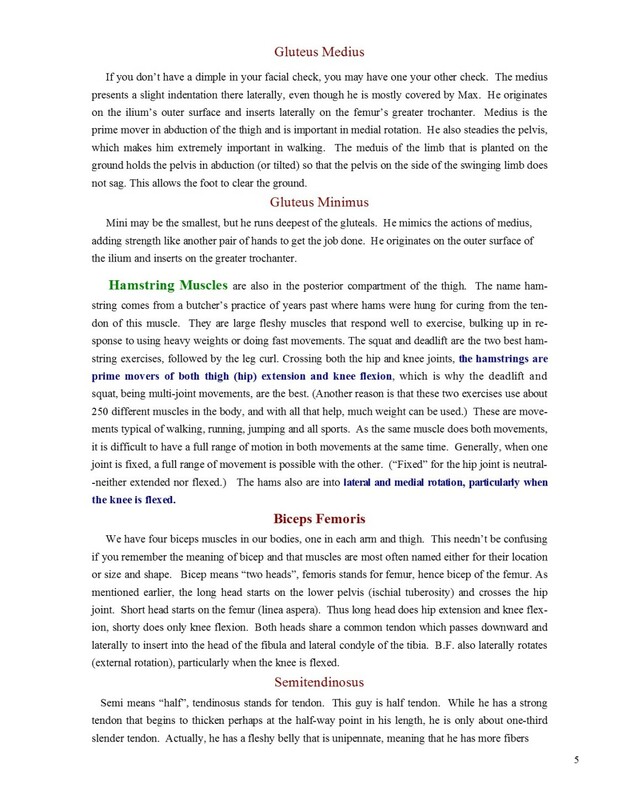 This is the page for back extension. ​The manual also contains a full line drawing of each muscle or muscle group as well as textual descriptions of all joints and muscles acting on the joint involved.